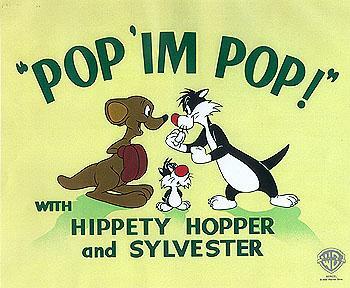 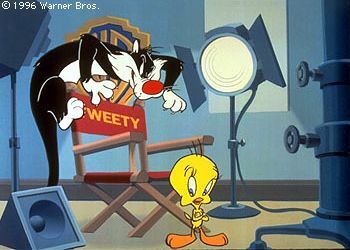 Tweety and Sylvester both enjoyed successful solo careers before they teamed to become one of America's most popular duos. 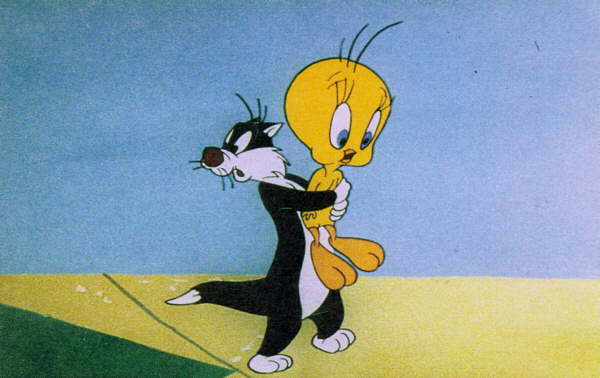 Tweety came first in the 1942 release of "A Tale of Two Kitties." 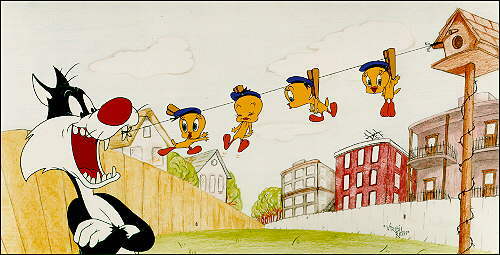 He was born into cartoon existence as Orson, a small bird with an enormous head. 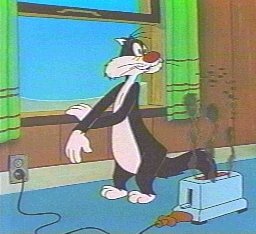 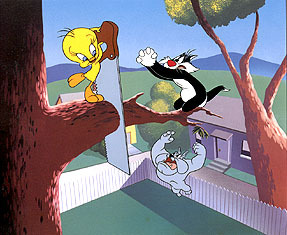 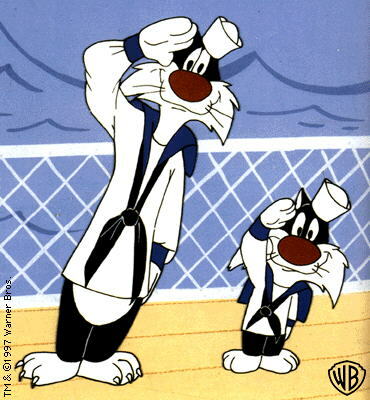 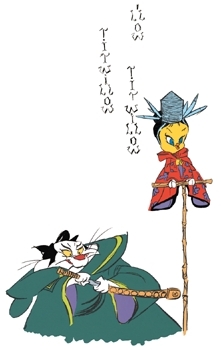 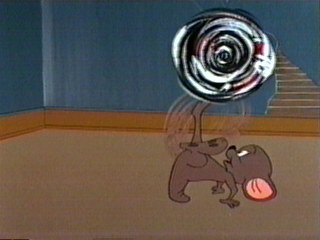 It was in this cartoon that he coined the phrase, "I tawt I taw a puddy-tat!" 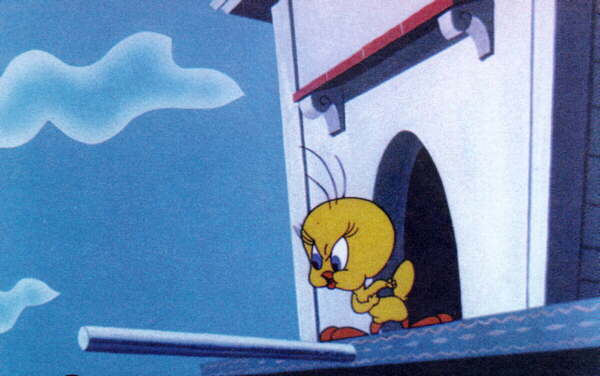 In 1944, the familiar and beloved yellow bird became known as Tweety in "Birdy and the Beast." 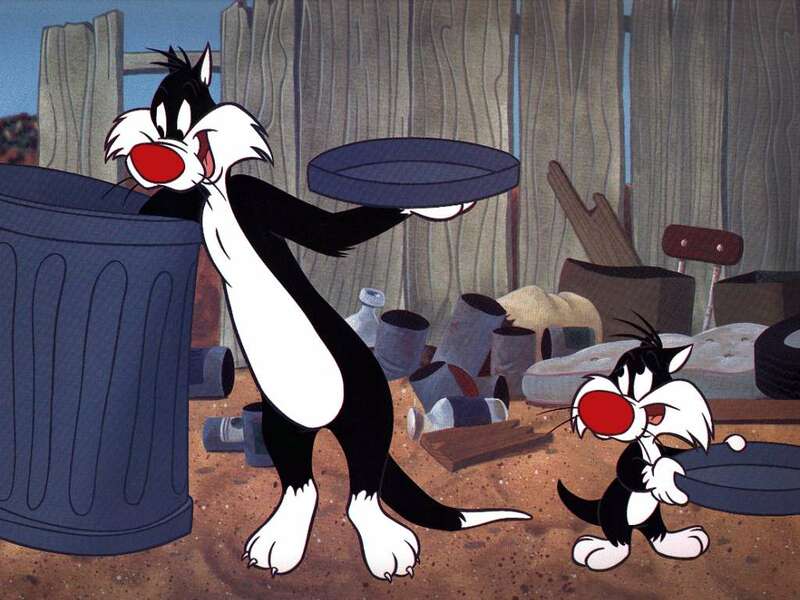 Sylvester roamed countless back alleys scrounging through trash cans and stirring up mischief in the 1945 release of "Life with Feathers." 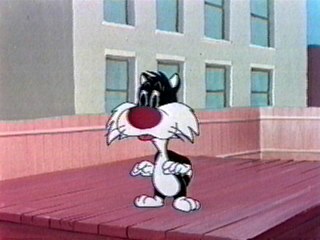 But it wasn't until 1947 that "Tweetie Pie" was released - fate had finally brought Tweety and Sylvester together as a house cat and a canary brought in from the cold by a concerned housemistress. 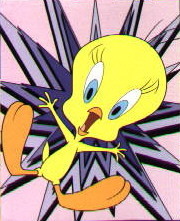 "Tweetie Pie" became the first Warner Bros. 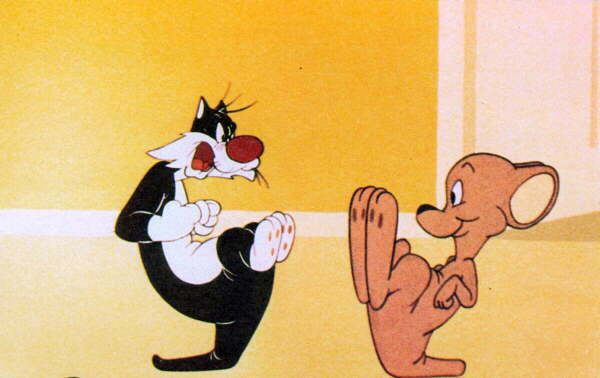 Cartoon to win an Oscar. 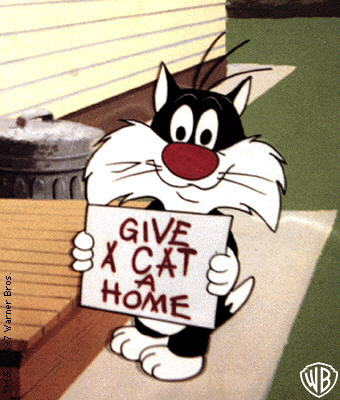 "Come on! 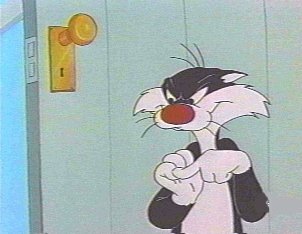 I ain't got all day!" 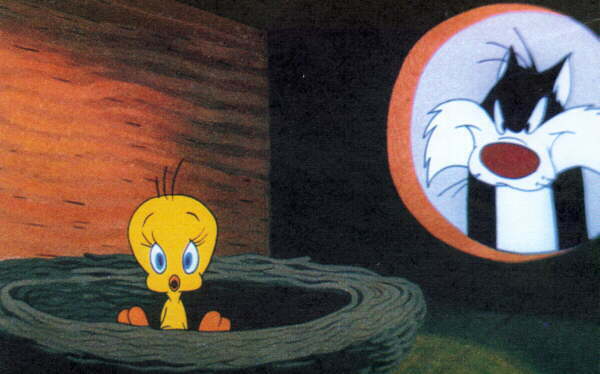 "I tawt i taw a putty tat!" 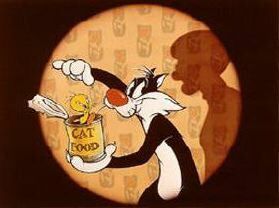 "I wonder what that putty tat is up to now!" 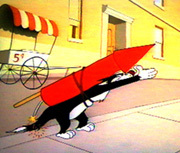 "Ohh! 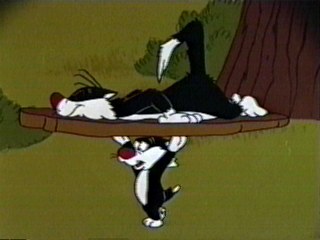 The poor putty tat fall down!" 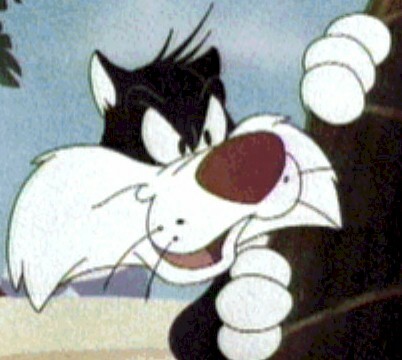 "I tink he's mad at me!"